Description:Krishna Hospital has very well-experienced and skilled team of doctors to carry out the huge list of medical facilities it offers. Infrastructural, it has settled itself in a 5-storey building on Paud Road, Kothrud. It has gained popularity in the area due to strong medical results and round-the-clock available support. This hospital has 40 beds available for its patients to avail. This hospital hails being government recognized. The hospital is functional with an experience of last 23 years in obstetrics, eye care, general medicine, pediatrics, endoscopy, cataract surgery, dental care, radiology and many more listed under general and specialized treatments. They have a well-equipped dental care department with chair-ray machine. This is operated by a specialized staff of doctors. They have physiotherapy section with traction machine, muscle stimulant, wax-bath and diathermy. Their diagnostic centre is highly advanced with 2D echo, sonography, pathology laboratory and 300mA. Their medical services are also facilitated by C-arm, monitors, ventilators and Boyle’s machine. They have a 24 hours available chemist shop to provide necessary medicines and other supplies and have a round-the-clock ambulance and accident management service. 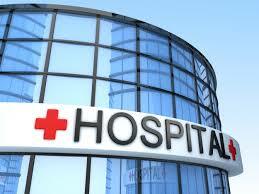 For providing affordable services to the patients, Krishna Hospital has allied with various corporate companies.